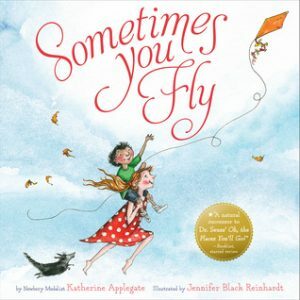 Each year, the Excellence in Poetry for Children Award committee selects notable poetry and verse books for children ages 3–13 that “create images, express feelings, and stir emotions.” We know these books will be an excellent way to bring poetry into your classroom or home libraries! Discomfort precedes understanding. Understanding precedes change. 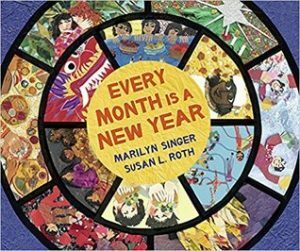 During every month of the year, some group of people in some part of the world is celebrating the new year. 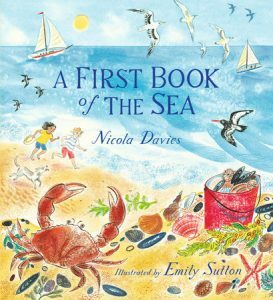 Nicola Davies and Emily Sutton capture the magic and majesty of the ocean with stunning words and pictures. 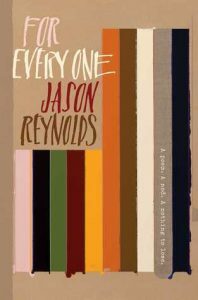 For Every One is just that: for every one. For every one person. For every one dream. 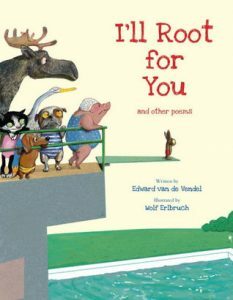 But especially for every one kid. 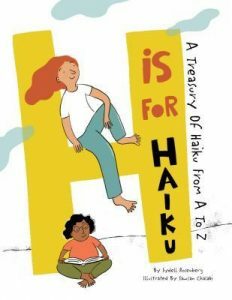 H Is for Haiku: A Treasury of Haiku from A to Z offers an A to Z compendium of haiku that brings out the fun and poetry in everyday moments. 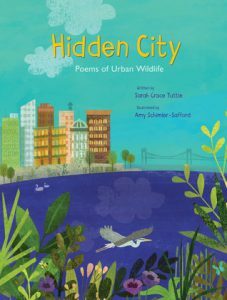 In this graceful collection of poems, skyscrapers serve as perches for falcons, streetlights attract an insect buffet for hungry bats, and an overgrown urban lot offers shelter to both flora and fauna. 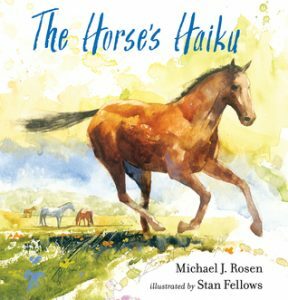 Lovers of horses or haiku or those who simply appreciate the natural world will enjoy this contemplation of one of earth’s most beautiful creatures. 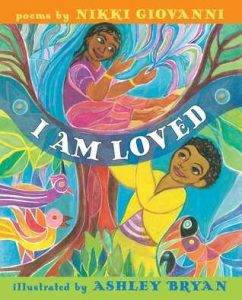 This book drums the most important message of all to young, old, parent, child, grandparent, and friend alike: You are loved. young athletes . . . especially ones who may not be the most athletic. 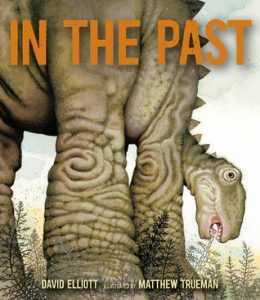 Return to the prehistoric era and discover a host of creatures both novel and familiar, from the mysterious trilobite to the famed T. rex. 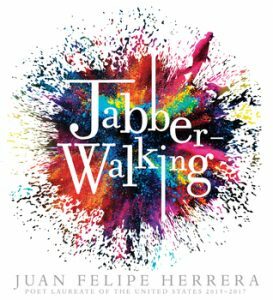 Jabberwalkers write and speak for themselves and others no matter where their feet may take them—to Jabberwalk is to be a poet on the move. 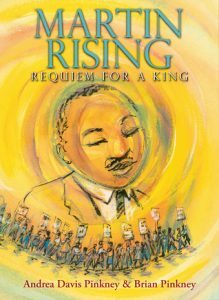 In a rich embroidery of visions, musical cadence, and deep emotion, Andrea and Brian Pinkney convey the final months of Martin Luther King’s life—and of his assassination—through metaphor, spirituality, and layers of meaning. 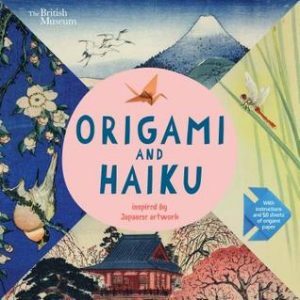 For each animal or object, children will be able to read the haiku, enjoy a corresponding work from the British Museum collection, and then make the origami figure! It’s a sunny day and everyone is headed to the main plaza for the start of the town parade and summer celebration. Follow along the parade route with a family of six as the festivities unfold. 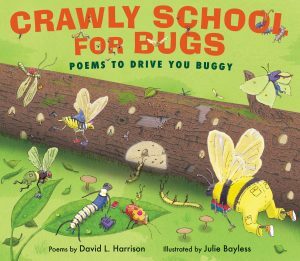 A poetry collection celebrating the wonders of the natural world. 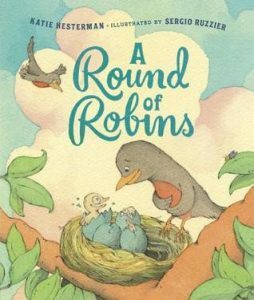 Sixteen fresh and funny poems welcome a new batch of robins to the world! 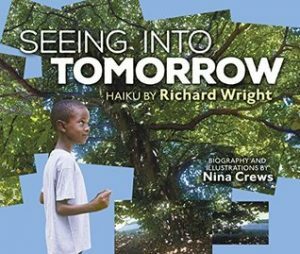 Seeing into Tomorrow celebrates the lives of contemporary African American boys. 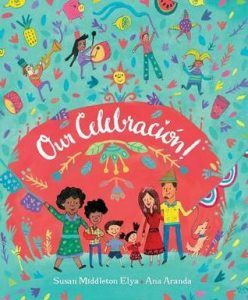 This book reminds the reader that any achievement may be preceded by mistakes, and learning from them makes accomplishments sweeter. 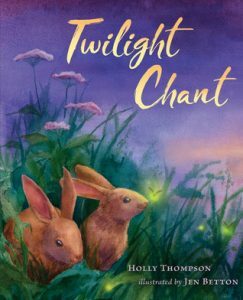 A lyrical exploration of the transition between day and night and of the animals who thrive during this special time. 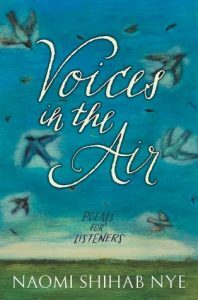 Voices in the Air celebrates the inspirational people who strengthen and motivate us to create, to open our hearts, and to live rewarding and graceful lives. 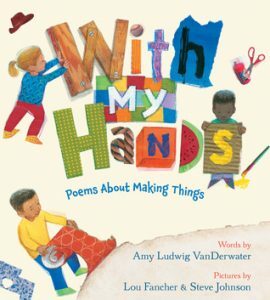 With My Hands is an inspiring invitation to tap into creativity and enjoy the hands-on energy that comes from making things. 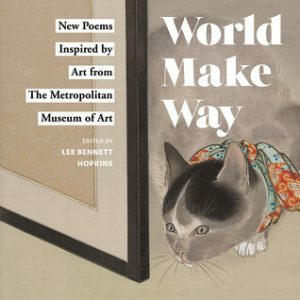 18 poets have written new poems inspired by some of the most popular works in the collection of The Metropolitan Museum. 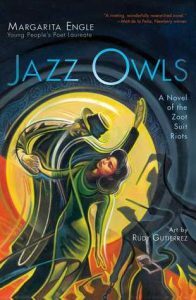 From the Young People’s Poet Laureate Margarita Engle comes a searing novel in verse about the Zoot Suit Riots of 1943. 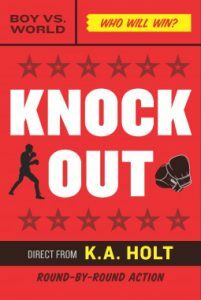 When Levi’s dad—divorced from his mom—suggests he take up boxing, he falls in love with the sport. But how can he tell his mom about boxing? And how can he convince his family to set him free? As she reflects on what “home” means to her, Caera knows only one thing. 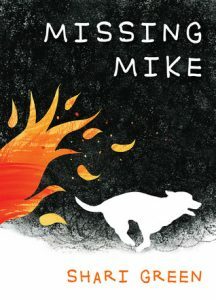 She is not going to lose Mike, her dog. She will do what it takes to find him, even if it means going back to Pine Grove on her own. 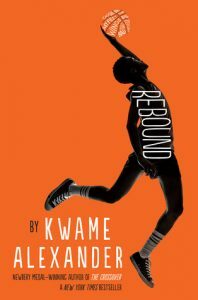 In this prequel to Newbery Medal–winner The Crossover, Chuck Bell takes center stage, as readers get a glimpse of his childhood and how he became the jazz music worshiping, basketball star his sons look up to. 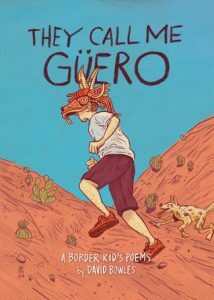 Life is tough for a border kid, but Güero has figured out how to cope. He writes poetry. 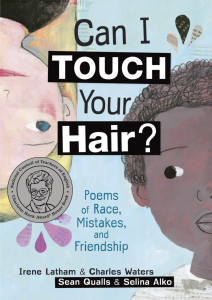 You can find the full, printable list of the 2019 Notable Poetry Books here. 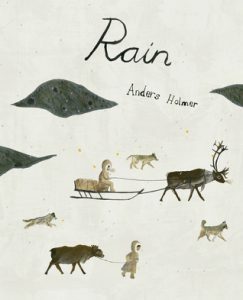 All book descriptions taken from Goodreads.